Generally not top-of-the-packing list for your weekend away, transporting a kayak requires a truck, a roof rack, and a buddy. 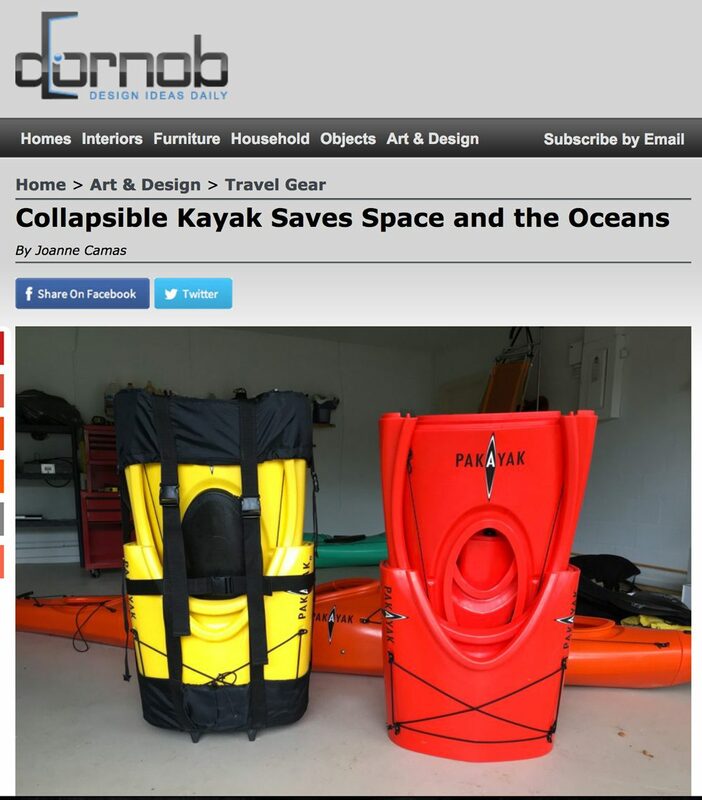 Well yes, you could rent one, but now you can have your own and bring it where and when you please (preferably to a place that allows kayaking). A new company has developed a portable kayak named Pakayak, which breaks down into smaller pieces that fit inside of each other. You do the work and it ends up the size of a backpack, albeit quite a heavy 55 pounds backpack.